Monday thru Friday: 7:30 a.m. - 4:30 p.m. The Charleston Engineering Department strives to propose creative design solutions which will enhance the value of the City while also being practical in the facilitation and inspection of public improvement projects. 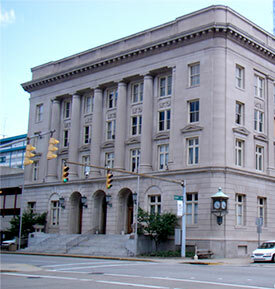 Some measurable goals shall include the implementation of a storm water management program, development of an inventory based paving schedule, renovation and maintenance of current downtown streetscape districts and through cooperation with the Charleston Sanitary Board, separation of portions of combined sewer systems. For questions or additional information related to City street paving, please email:paving@cityofcharleston.org. For questions or additional information related to Charleston's Storm Water Management, please click here or contact Stephen Birurakis, Storm Water Manager via email tostormwatermanager@cityofcharleston.org.